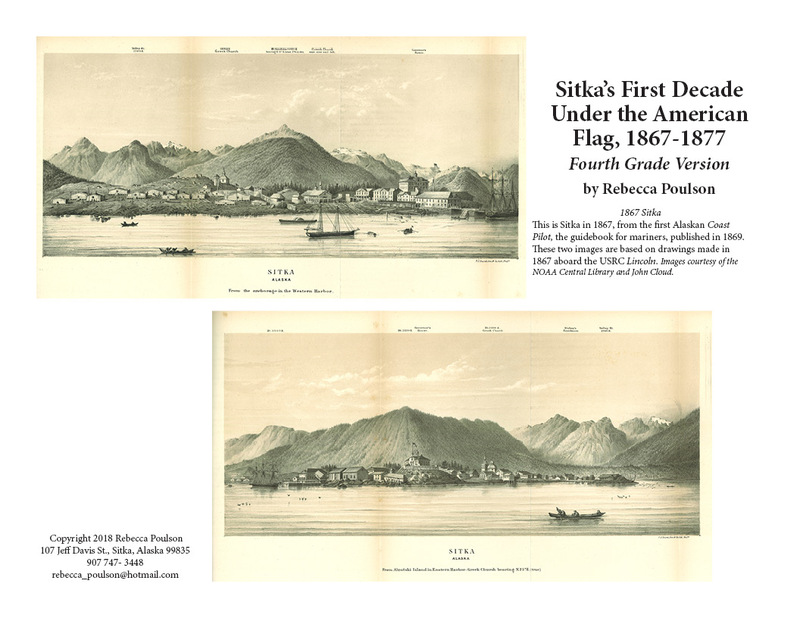 Illustrated Narrative, "Sitka’s First Decade Under the American Flag, 1867-1877: Fourth Grade Version"
Traditional Tlingit Country map by Tlingit Readers, Inc.
Kostrometinoff account - his handwritten letter describing his recollection of the transfer, and the transcription. There are also other resources on the Alaska Historical Society website, under the Discover Alaska's History tab, as well as documents, articles and a podcast at 150th Anniversary of the Alaska Treaty of Cession under the About AHS tab. Kahtahah, by Frances Lackey Paul (Alaska Northwest Books, 1976) which is out of print but not hard to get. It is by Frances Lackey Paul, but the book is the stories of Tillie Paul Tamaree (her mother in law). Tillie Paul was a remarkable woman with a remarkable life story, and it’s all here. Her adopted father was an important clan leader, and she grew up traditionally, but then lived with missionaries and became one herself. Her son was William Paul, a Tlingit lawyer who fought for land claims. 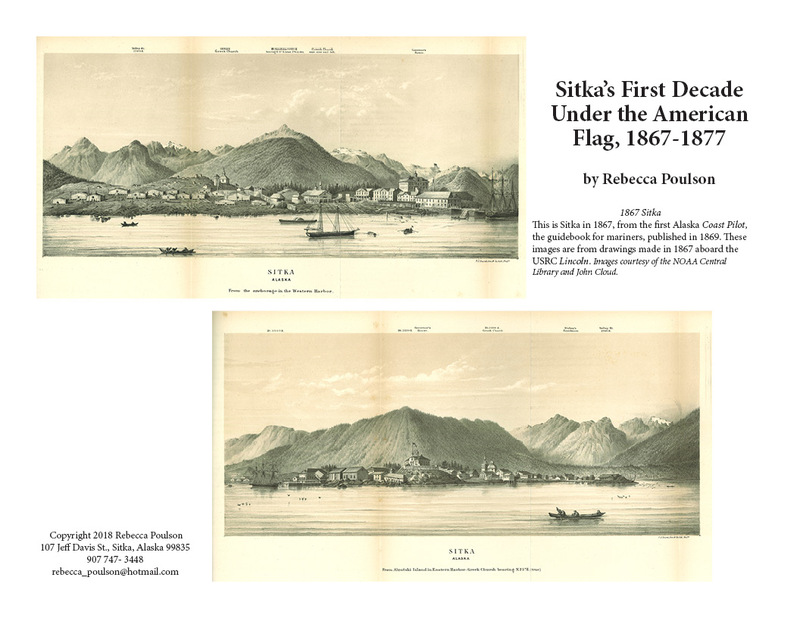 - Look closely at the old photos and the new ones, and see what you can tell about Sitka from what is shown. - Compare the two, see what is different and what is the same. - What are questions you have about those photos. How do you think you might find out the answers? You can use the photos in the narrative, too, for study. The pictures of Sitka from the Coast Pilot are incredibly detailed. You could compare the 1867 map of Alaska with a contemporary map, and compare what towns are marked on each. Compare a new map, the 1867 map, and the Tlingit Country map. 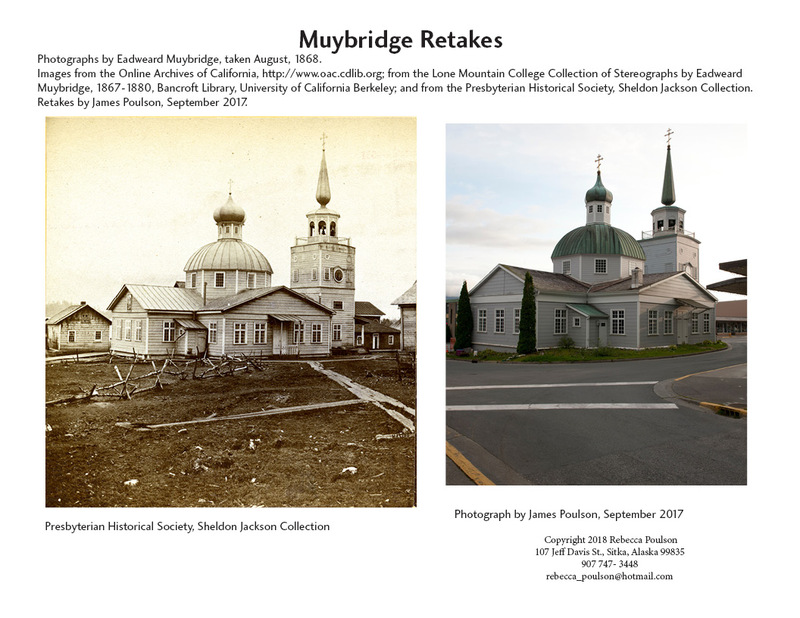 Kostrometinof account: use the photos and the Transfer Map of Sitka to figure out where the soldiers landed, and where young George might have been, watching the events. Note: nearly all of the 19th century materials are extremely offensive. "Memoirs of a Finnish Workman"
Robert N. DeArmond and Richard A. Pierce, The USS Saginaw in Alaska Waters, 1867-68 (Kingston, Ontario and Fairbanks, Alaska: Limestone Press, 1997- especially the parts about the shelling of Kake. This book has the account by a young midshipman, which is chilling. An Army Doctor’s Wife on the Frontier: The Letters of Emily McCorkle FitzGerald from Alaska and the Far West, 1874-78 (University of Nebraska Press 1986), Includes her account of the Nez Perce War, which is where they went after Sitka, to Fort Lapwai. Compare a new map, the 1867 map, and the "Tlingit Country" map. Is democracy compatible with imperialism? (imperialism is taking over another country and not allowing the inhabitants to have a say in how they are governed) What is the situation now for Puerto Rico and other US Territories? Read the various documents for attitudes expressed about Americans, Russians, Natives. What attitudes survive today, and what are unacceptable? After reading Seward’s speech, do you think it’s appropriate to have a statue of him in front of the state Legislature? The statue has been controversial - look up opinions on both sides and discuss. Debate both sides of the Kake War - should they have destroyed the villages, or not.